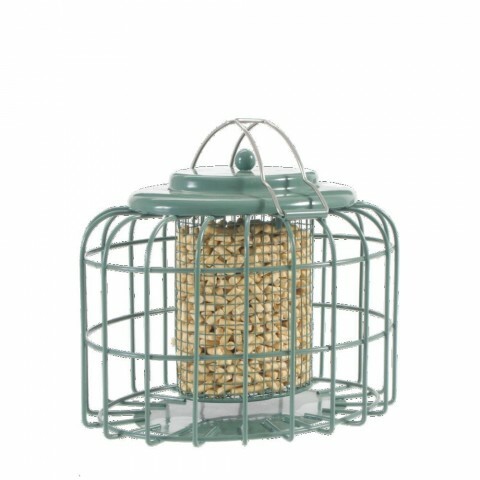 A round cage, designed to keep out squirrels and larger birds, whilst allowing young birds to access the bird food. 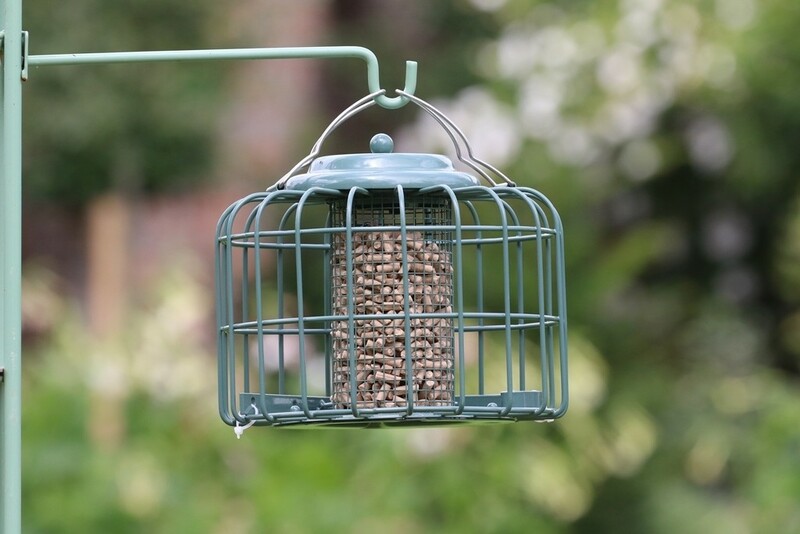 With a 6.5cm distance between the cage & feeder, and a lid that is trapped shut by the handles, so even the cleverest squirrel shouldn't be able to open it. 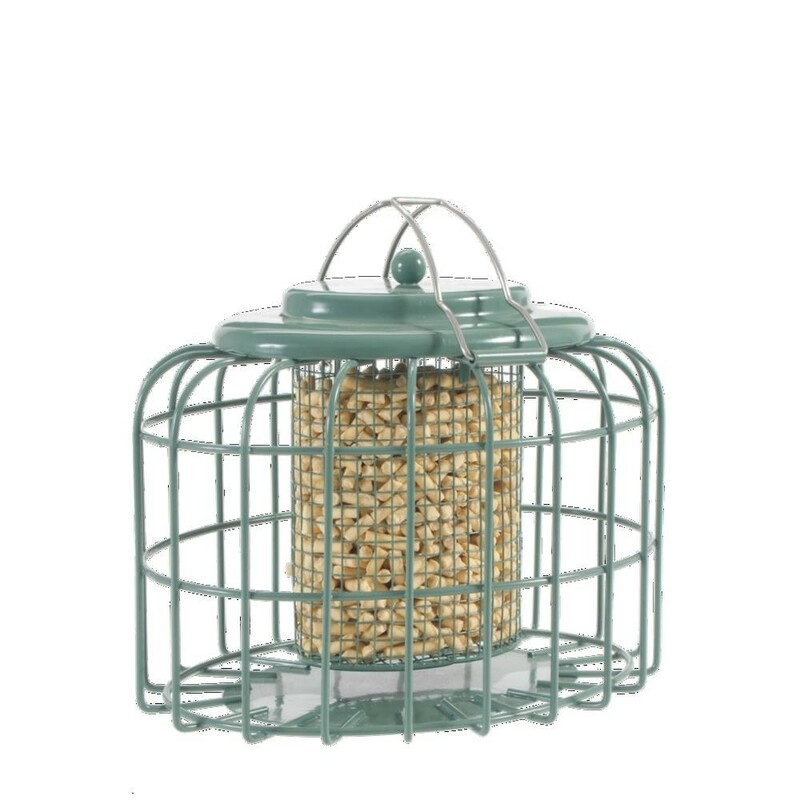 I would like to congratulate you on a excellent service and product information, the Nuttery Caged Mini Suet & Nut feeder is just what I was looking for, the parcel arrived on time and for once they found us without any problem.